For a high-quality, professional and trustworthy plumbing experience, look to Superior Plumbing. Each employee is screened for honest character so that you can feel safe letting them into your home to fix your problem. 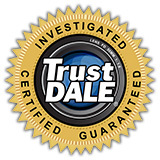 Since it was founded in 1988, owner Jay Cunningham has stood by his promise of honest, quality service at a fair price. From minor repairs and leaks to installations, Superior Plumbing can handle it all with expertise. Don't be fooled by plumbers (or unlicensed handymen) who tell you they'll work by the hour. Time and time again, your simple fix becomes an expensive money-trap, and when you finally pull the plug, you still have the problem! Superior Plumbing offers Up-Front Pricing: You agree to a price - that won't rise - before the job begins. Superior Plumbing does charge a $62.50 trip fee for all calls. Superior Plumbing has been treating people right since 1988, offering fair pricing derived from honest, high-quality service. Your Superior Plumbing experience begins with a respectful, quality person answering your call, a seasoned, drug-tested, licensed and insured professional dispatched to your home or business, along with parts and craftsmanship that will last. Superior's pledge to TrustDale and to you: "If we fail to do our job right, we make it right quickly, with an apology and at no cost. Many consumers have a hard time telling the difference between those who claim superior service and those who deliver it. It all starts with attitude. Superior Plumbing's mission to their clients is to deliver value. Value demands that they render high quality service, with integrity, in a professional manner, at a fair price. The employees at Superior Plumbing will treat you the same way they want to be treated when they are the client.